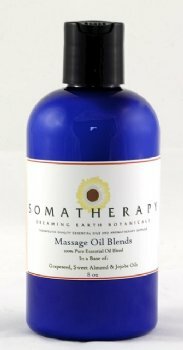 Hair Blend: A blend of Cedarwood, Atlas, Lavender, Rosemary, and Thyme essential oils in our Massage Base (sweet almond, grapeseed and jojoba carrier oils). To use, massage a few drops of the blend into the scalp daily for a minimum of two minutes. For more information on using these oils for hair growth, click here.